It’s difficult enough for new parents to remember their own heads when packing for a trip away with a little person. But there are a few items that we couldn’t have done without in our first year as a Tin Box family, particularly during our initial weekends and longer holidays caravanning with a baby. Read on to find out what made it onto our essential packing list. You might also like to read about my essential items for caravanning with a toddler and my must-have items for travelling with a baby and toddler. 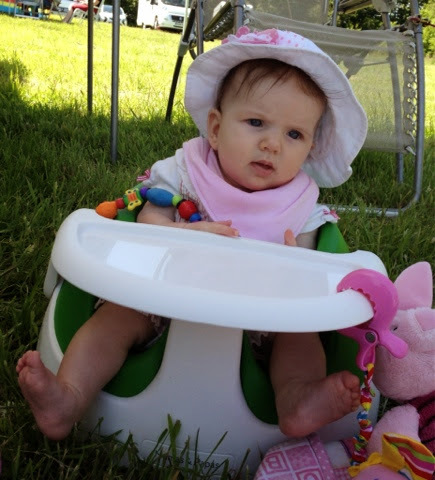 Here’s our run down of five essential pieces of equipment to pack when you are taking a caravanning break with a baby. What about a baby cot? Even the tiniest of babies quickly outgrow the bathroom sink in a caravan. 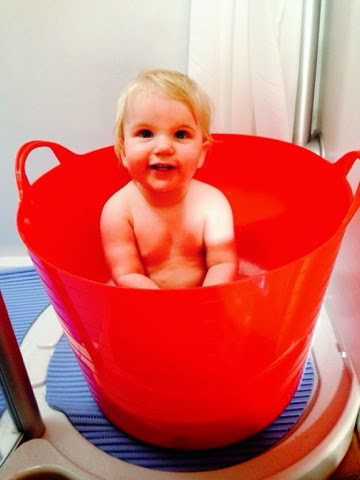 Rather than try to fit a rigid baby bath into Tin Box we spent a couple of quid on a Flexibucket, which fulfils the job of bathtub brilliantly. It’s also a perfect fit for our circular shower tray and provides extra storage while not full of bubbles and ducks. 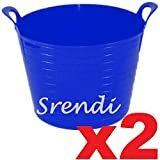 2 x BLUE 42 Litre Large Flexi Tub Garden Home Flexible Colour Rubber Storage Container Bucket Polyethylene Flex Tub - MADE IN U.K. 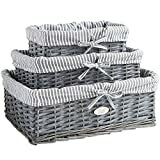 These were ideal for sorting out Tin Box Tot’s extensive wardrobe of tiny garments. This is a must if you want to make it easy to find clean vests and sleep suits in the middle of the night. 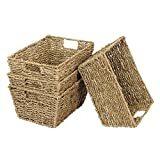 We bought four baskets of about 20cm by 30cm, which fit snuggly into one of the overhead lockers. 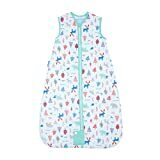 You can never have too many baby sleeping bags*. Tin Box Tot used to go through two the first night of every trip. We usually opt for 1 tog in the summer and 2.5 in the winter. 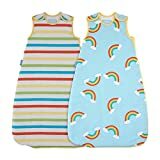 Grobags always seemed to work best for us because they were so easy to fasten, even when Tot and Baby were fast asleep. The majority of our weekends away are off electic. So even if we could find a steam steriliser small enough to fit in our tiny microwave, we wouldn’t be able to use it. 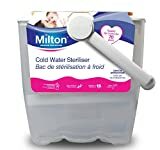 Our cold water steriliser was light weight and so simple to use. 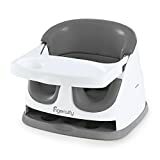 Caravan seating and gangways aren’t designed for highchairs or the travel equivalents. We’ve got around this by putting Tin Box Tot in a floor seat. It isn’t the most social of options at dinner time when we’d be at the table but when space is at a premium a full high chair just isn’t an option. NB floor seats should not be put on raised surfaces. We had a Mamas & Papas Baby Snug Seat which came with an optional activity tray. It was very easy to clean and had a a coloured insert seat to support the girls when they were tiny. This could be removed as they grew giving the seat a longer lifespan. We could never find a travel cot to fit in our touring caravans so we had to be inventive. Find out about our caravan beds for babies and toddlers. 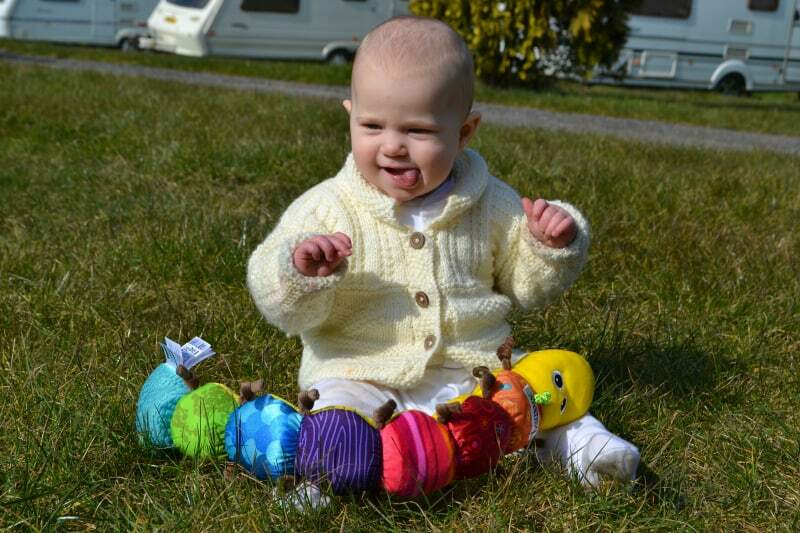 We’d love to hear about your essential items for caravanning with a baby. 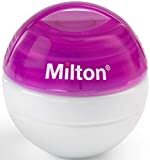 Disclosure: this post contains Amazon affiliate links. This means that if you click through and make a purchase I may earn commission from the sale. This is at no additional cost to you. Baby Jogger City Tour review – the best travel stroller? Do it! We took Tin Box Tot away for the first time when she was six weeks old. It was so much easier keeping on top of everything in a 7m by 3m space than at home! Good luck with it! It's great fun, give it a go. Thanks for popping by! We still use it now that Tin Box Tot is a toddler. Thanks for popping by!